This temple is one of the 51 pithasthans in India as per Hindu mythology. As per mythology, Lord Vishnu had cut off the body of Mata Sati into 51 pieces by Sudarshana Chakra and all these pieces fell at different places throughout the country and these places are known as pithasthans. It is said that 'right foot' of Mata Sati fell at Matabari. One of the 51 pithas of Hindu pilgrims was built by Maharaja Dhanya Manikya in 1501 A.D. It consists of an squere type sanctum of the typical Bengali hut type. The lake in front of the temple added to its beauty. It is located 55km from Agartala. This pithasthan is also known as Kurma Pith because the shape of the temple premises resembles to that of "Kurma" namely tortoise. 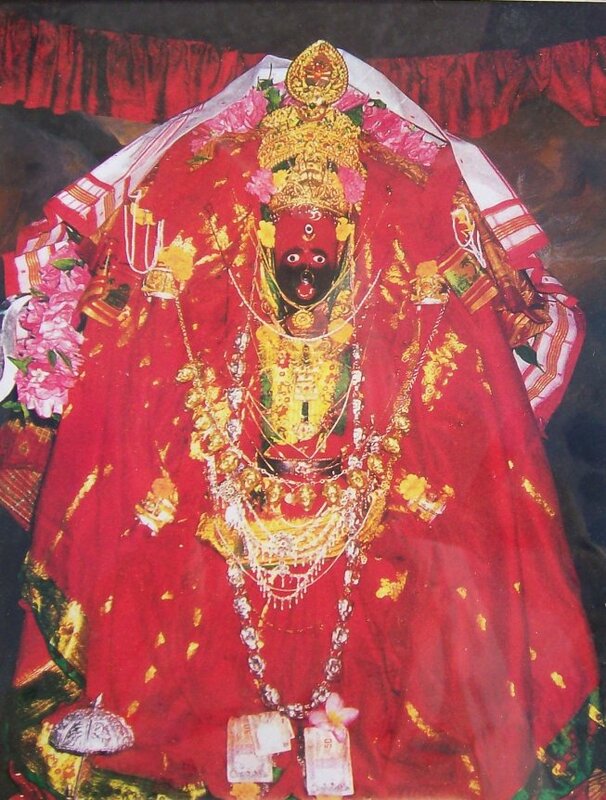 Inside the temple, the idol of Maa Kali is kept which is made of 'reddish black Kastic pathar.' 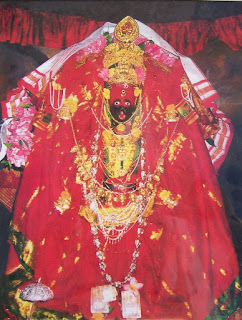 Maa Kali is worshipped in her 'Soroshi' form in this temple. There is an idol of smaller size of Maa Kali called 'Chotto Maa 'and this image used to be carried by Maharajas of Tripura during "Mrigaya" namely hunting and also during war. In the eastern side of the temple there is a famous Kalyan Sagar where fishes and tortoises of huge size are found and devotees feed them with "muri" and biscuits. No fishing is permitted in the Kalyan Sagar. The most exclusive thing here are the TORTOISE present in the lake in huge numbers specially worshipped by the local persons .You can feed them with food and if you are lucky then you can worship them when they are on the bank of the Saagar i.e. river. Every year on Dewali, a famous Mela takes place near the temple which is visited by more than two lakhs pilgrims. Accomodation Accomodations are available at Agarthala. Accesibility Agartala is well connected with other nearby cities.